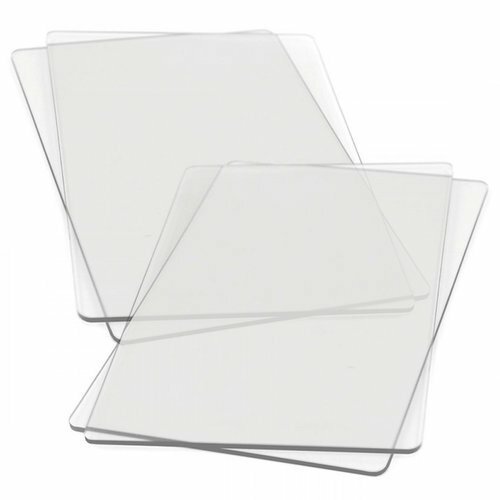 Size: 8 3/4" x 6 1/8" x 1/8"
Cutting Pads Details: Cut thousands of steel rule and thin metal Sizzix dies in your Sizzix machine using this versatile set of polycarbonate plastic Sizzix Cutting Pads. These clear cutting pads make it easy to see that your paper and die remain properly aligned while loading in the machine and cutting. 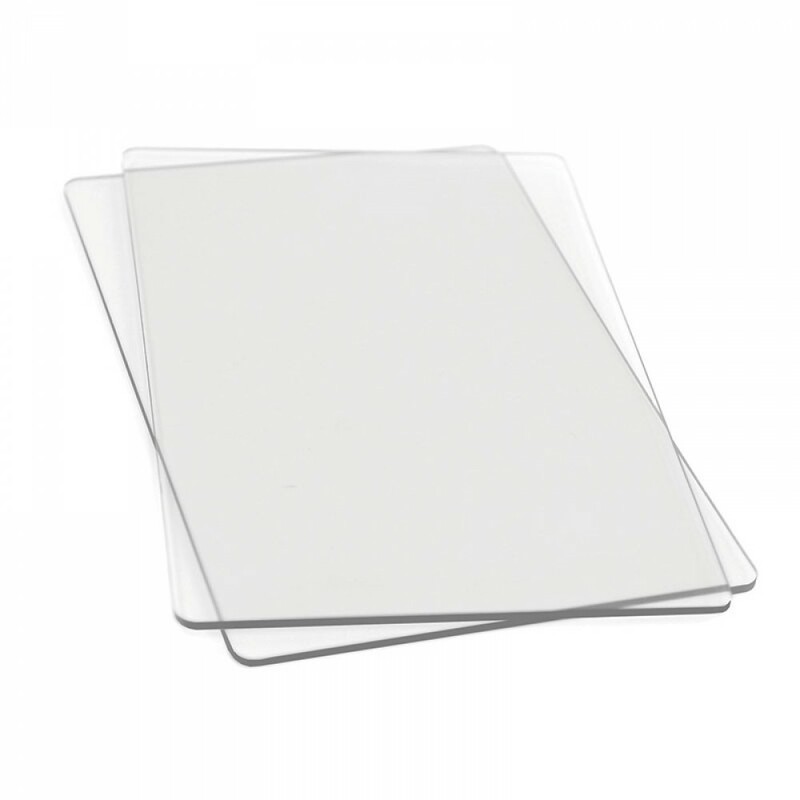 Pair these clear cutting pads with the Sizzix Standard Magnetic Platform to get perfect cuts every time from your chemically etched wafer thin metal dies from Sizzix and dozens of other brands. And weighing in at at only a quarter of a pound, these pads are lightweight to take on the road with your machine for a crop. Plus, you can get double use from these Sizzix pads - when one side of these cutting pads is worn out, flip them over to get more cutting life from them in your BIGkick, Big Shot, or Vagabond machine. When both sides are worn out, then it’s time for replacement cutting pads. 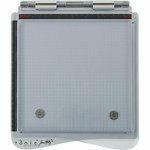 This item is for use with the all models of the Sizzix Big Shot, all Vagabond machines and the Sizzix BIGkick. Each of the Sizzix Standard Cutting Pads are made of the highest quality polycarbonate plastic and each pad is approximately 8 3/4" x 6 1/8" x 1/8". 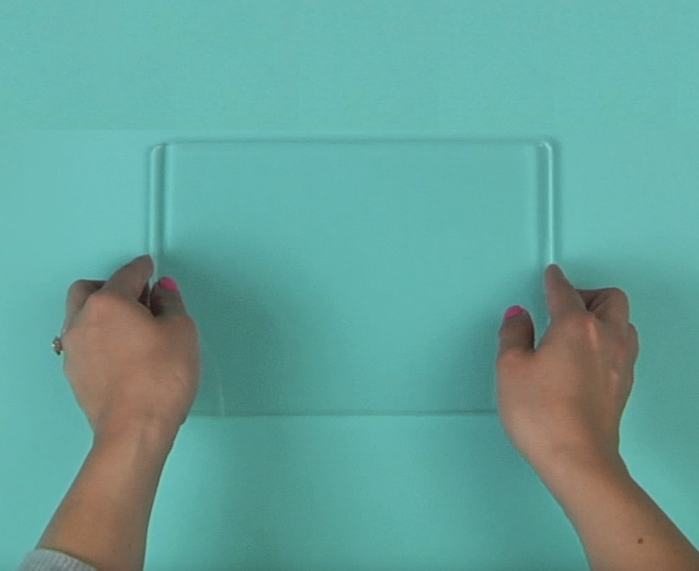 This precision engineered acrylic plate is the exact thickness to go thru the Sizzix Big Shot machine. There is a top and a bottom one and the die and the paper are wafered in between. Perfect diminsions everytime. Sizzix cutting pads do the intended job. I like the new beveled edge that eases the pads under the rollers. On the other hand, these new pads seem to bend easier than the original pads. Is Sizzix using a different material? In any case, keep flipping the pads and moving dies around...the result will be less warping. I like the size of these pads better than the extended cutting pads..easier to move around. Thats what I am. Why do they make a product that gets messed up just for doing what these do? Why can't they make a method or material that doesn't get all messed up just for using their die cuts? Am I wrong here? There has to be a better way. 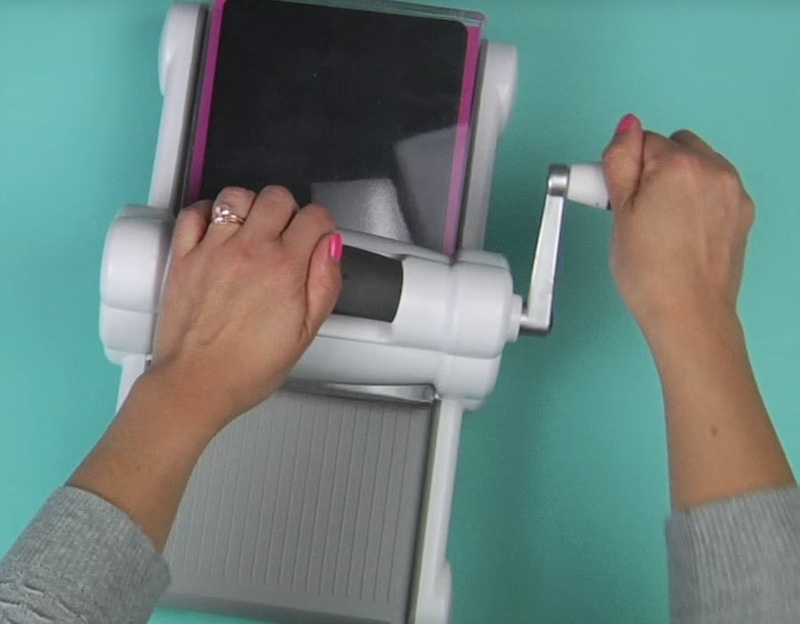 The cutting pads for the Sizzix Big Shot are a necessary part of equipment to use the machine. The time between replacements really varies. It depends on how much die cutting I do. They usually last between 3 and 6 months, rarely they last a year. It is important to keep turning them, using both sides as they last a lot longer that way. I do a lot of die-cutting so my cutting pads take a beating and wear out pretty quickly. Scrapbook.com offered a pair of cutting pads on sale with an additional promo discount. Great value. Promos are run often so I'll be watching when I need to reorder. It is easy to order from this company. They let you know when your package has been shipped and even let me know that my package was going to be delayed. 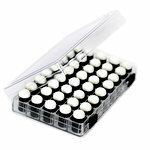 Product is packaged well and price is reasonable. What more can you ask for?? Every Sizzix needs these cutting pads and I'm so happy that they are still as well made as the originals. They can take a beating, I've cut hundreds of shapes I'm sure on my old cutting pads so glad to break in the new ones. Sizzix cutting pads are great. They last a very long time and don't let the scratches fool you. 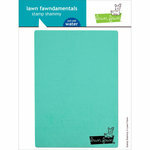 The scratches will not hinder the product or mess up your card stock. It's always a good decision to have an extra pair. I wanna ask about the dimensions is it the same like the original pads that come with bigshot or its smaller By: Mahagebril (11-Oct-14) Helpful Question? Yes | No Thank you! Report Inappropriate This question has been reported. Thank you! I have the flu with complications so I am kind of fuzzy about this and everything right now. Sorry. What I did was call scrapbook.com and asked a lot of questions. The woman who I spoke with was great and guided me through and I got the correct product. They are very accommodating and polite there. Good luck and happy scrapbooking : ). If I felt better I would do more research for you but am feeling crummy. Take care. Veronica By: Ronni_scrapbking (12-Oct-14) Helpful Answer? Yes | No Thank you! Report Inappropriate This Answer has been reported. Thank you! Jean By: jeanking350 (03-Jan-16) Helpful Question? Yes | No Thank you! Report Inappropriate This question has been reported. Thank you! Unless specified for another machine, I would say they are fine to use. I says "Standard" on the package.......which would be what I would purchase for my Big Kick. By: captc68 (05-Jan-16) Helpful Answer? Yes | No Thank you! Report Inappropriate This Answer has been reported. Thank you! Will these work on the Big Shot by Stampin UP? By: CraftiSue (13-Apr-19) Helpful Question? Yes | No Thank you! Report Inappropriate This question has been reported. Thank you! Yes they will. That is where I got my big shot and these pads will work fine. By: Marty Adle (15-Apr-19) Helpful Answer? Yes | No Thank you! Report Inappropriate This Answer has been reported. Thank you! Will these fit a Quickutz Revolution? By: User (18-Feb-19) Helpful Question? Yes | No Thank you! Report Inappropriate This question has been reported. Thank you! Do these pads work on the cuttle bug? I am having trouble cutting the thinlets. By: notthmom (12-Jul-18) Helpful Question? Yes | No Thank you! Report Inappropriate This question has been reported. Thank you! These pads are not made for the Cuttlebug so you shouldn't use them. When cutting thinlits on a Cuttlebug, however, I found that it would help them cut if I added a shim to my sandwich. This could be a folded piece of cardstock or a piece of chipboard. You just need something to give the thinlits a little lift to meet the rollers of the machine. I hope this helps! By: Joanie R (12-Jul-18) Helpful Answer? Yes | No Thank you! Report Inappropriate This Answer has been reported. Thank you! Will these work on an Accuequilt machine? By: User (05-Oct-17) Helpful Question? Yes | No Thank you! Report Inappropriate This question has been reported. Thank you! I don’t for sure but if I had to guess, I would say no. They may look the same but they may a tiny bit to thick or then. Try looking on the package to see if they work in other machines. I would hate to try and then jam up your machine. Another option is to go to the Sizzix web site and email them your question. They have been prompt getting back to me. By: Rosed2016 (07-Oct-17) Helpful Answer? Yes | No Thank you! Report Inappropriate This Answer has been reported. Thank you! I just bought to use on my Vagabond machine. Its got me thinking..........will these work on Vagabond?? They looked the same. By: jotroup1 (01-Mar-15) Helpful Question? Yes | No Thank you! Report Inappropriate This question has been reported. Thank you! Yes these will work with the Vagabond. By: Paula K (09-Mar-15) Helpful Answer? Yes | No Thank you! Report Inappropriate This Answer has been reported. Thank you!